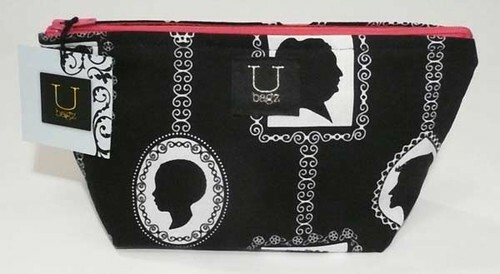 UBAGZ DESIGNS is a collection of hand-made handbags, cosmetic bags, roll-ups and shopping totes and are made in limited quantities in Vancouver, BC. 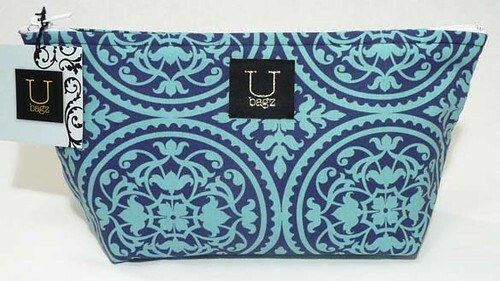 UBAGZ are always fun and incorporate bold and memorable prints. 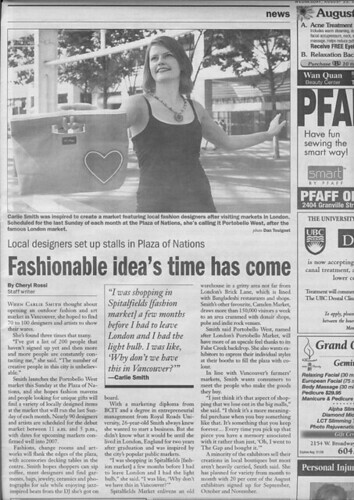 UBAGZ have been featured in various magazines, newspapers and television shows over the years. 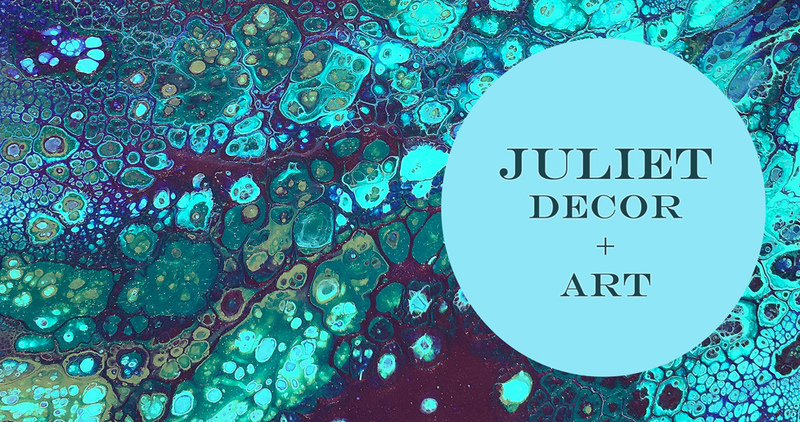 They make great gifts and you can be sure that you won't see another one like it as all handbags and pouches are either one-of-a-kind or made in small runs. 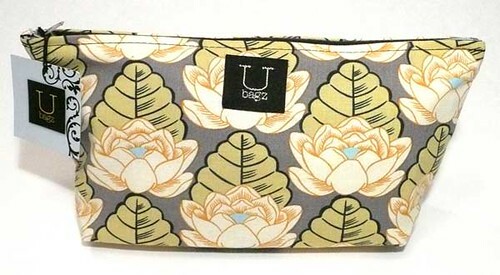 For more information on ubagz designs visit: www.http://ubagz.blogspot.com. 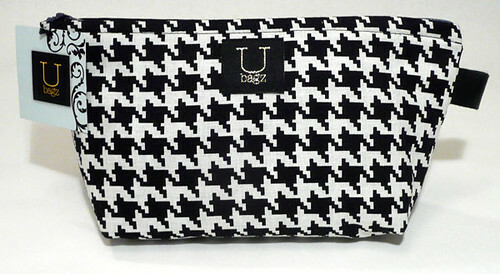 These cotton pouches are lined with zippers and are machine washable. 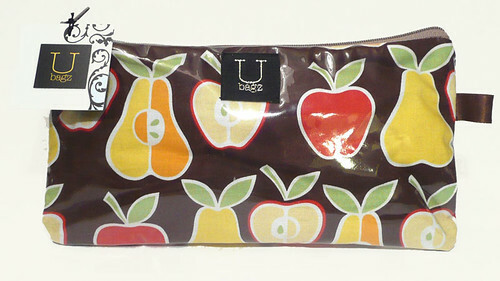 They make great cosmetic or travel bags and also work as clutches. 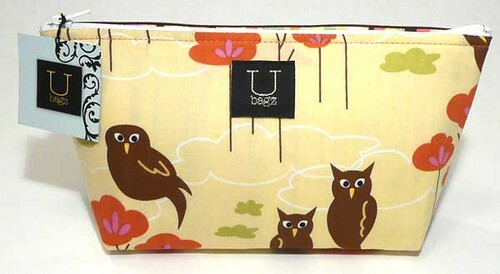 Whoo whoo we love owls! This pouch is lined with candy coloured stripes. The back side of pouch is brown. One-of-a-kind. Mod fruit are about 2" high on a brown background. Orange zipper. One-of-a-kind. Tropical huts are about 1" high. Zipper is dark green. One-of-a-kind. Moroccan medallions are about 2.5" wide. Zipper is white. One-of-a-kind. Wide zig zag. 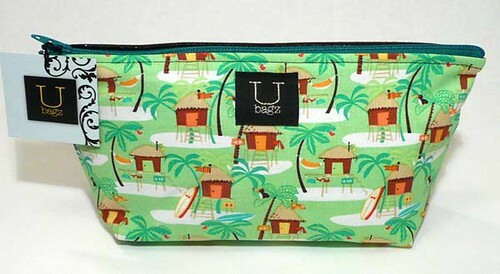 Zipper is green and there is a gold leather tab on the right side to loop pouch through hook or clip if you so desire. Cameo profiles are about 2" high. Zipper is a watermelon pink. 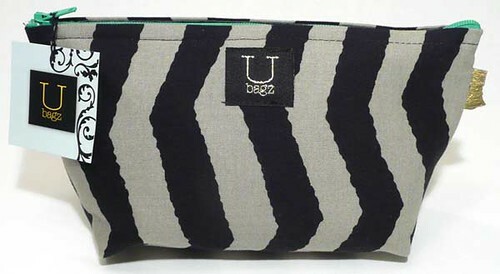 Black & white herringbone with a turquoise zipper and black tab on the right side. Floating lotus flowers on a grey background. Zipper is grey.